Soulfly is a metal band formed in 1997 based in Phoenix, Arizona. The original lyrical content revolved around spirituality and religious themes, with later albums encompassing other themes including war, violence, aggression, hatred and anger. Soulfly is led by former Sepultura frontman Max Cavalera, who formed the band after he left the Brazilian group in 1996. The band has released eight studio albums, one tour EP, several singles, and one DVD video. Their eighth album, Enslaved was released on March 13, 2012. Soulfly were originally a nu metal band with elements of Brazilian tribal and world music incorporated, but have changed to a thrash metal / groove metal style on more recent releases. The band has had all six of their studio albums debut on the United States Billboard 200, with a peak position at number 32 for their second album, Primitive. 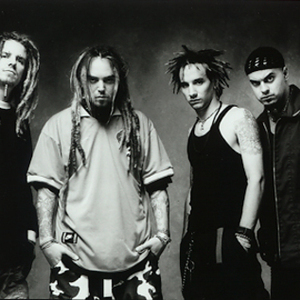 Their debut album, Soulfly, has been certified gold by the Recording Industry Association of America. The band has gone through numerous line-up changes, with Cavalera being the only constant member.